I've just heard that ex-Reliant Sabre works rally driver "Arthur Senior" sadly passed away 2 days ago. My sincere condolences go to his family and friends. May you navigate your way to heaven safely. Sorry to hear that Dave. 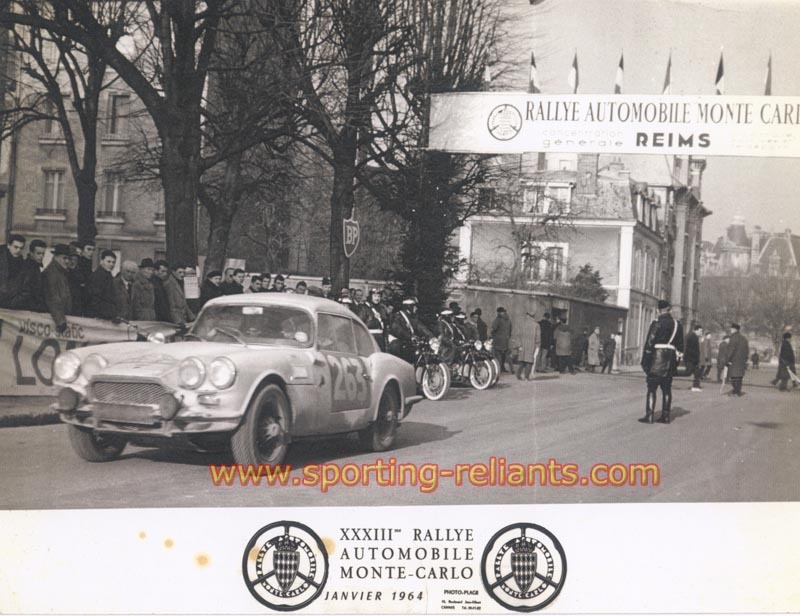 Arthur of course is the former Reliant Sabre Six works driver who was at the helm of 649 GUE in the 1964 Monte Carlo Rally when a tyre blew out on a hairpin, catapulting them 70 feet back to the hairpin below and writing off the car. I met Arthur a few times, including on the first Classic Marathon I did in my Sabre Six in 2002 (London - Prague). He and Tony Mason lined up at the start on Tower Bridge directly behind us in a 1960s Riley 1.5. Unfortunately their rally was to come to an early end at Ypres where they retired with a broken rocker arm, but he loved seeing another Sabre out and about and shared his memories of his own exploits back in the day. A very important person in Reliant history. Only just seen this. Met him a few times on the Morecambe Illuminations rally. I also met his son Phil and I sent him an early draft of Arthur Rusling's book about the factory exploits in rallying that we are slowly doing. So I think he probably read that. 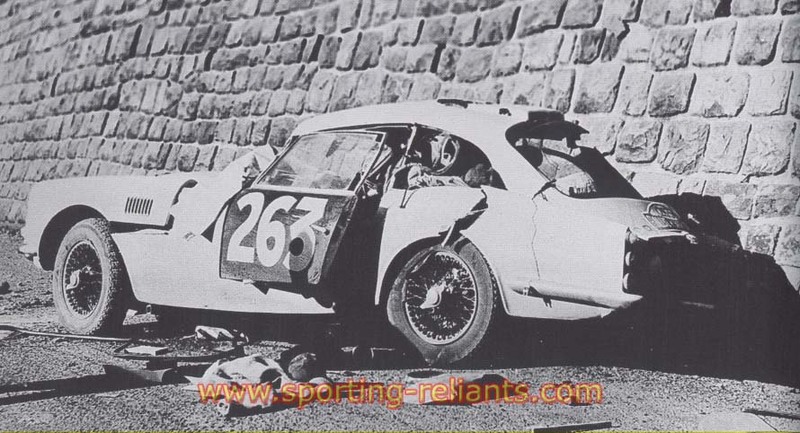 About the Riley - had a graphic of a wolf on the wing as a reminder about one he hit in the Sabre on the Liege Rome Liege rally. A very nice man to chat to.